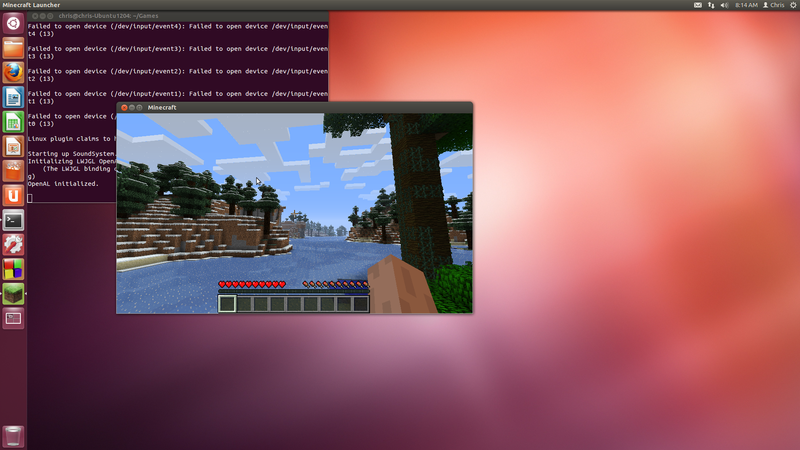 Minecraft runs. I had problems at first – it would load, let me log in, and then go to a black screen. It works now, but I’m not sure what I did to make it work. I’ll list the steps. I have no idea what step in there fixed it, and now I’m worried that despite uninstalling OpenJDK in the Software Center it still seems to be installed on the system. Yikes – I’ve always been very wary of fancy software package installers because of exactly this sort of thing. What do I do if I want to install the Sun version now?